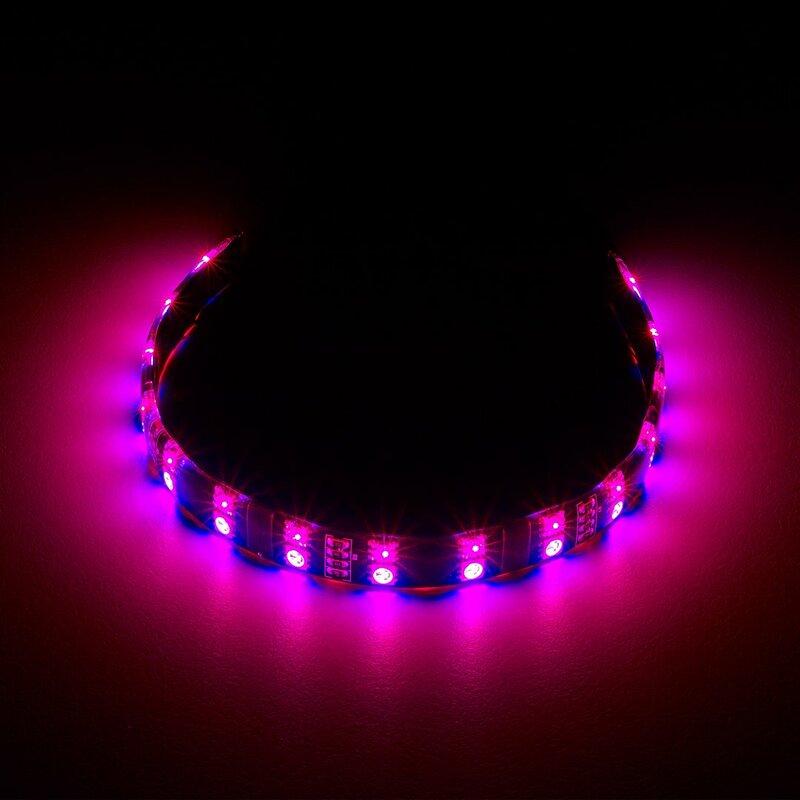 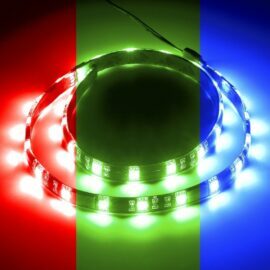 Control CableMod RGB LEDs quickly and easily with the CableMod RGB LED Controller. 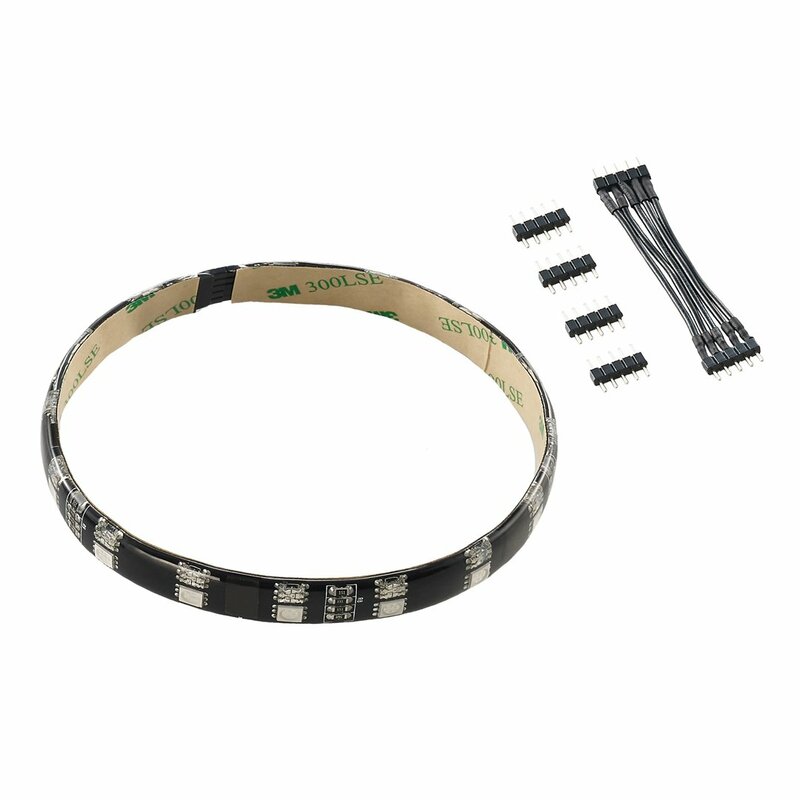 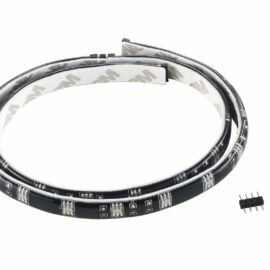 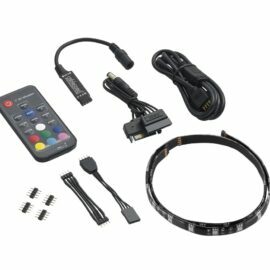 Simply connect your LED strips to the included RF receiver, and power the receiver with the SATA power cable. 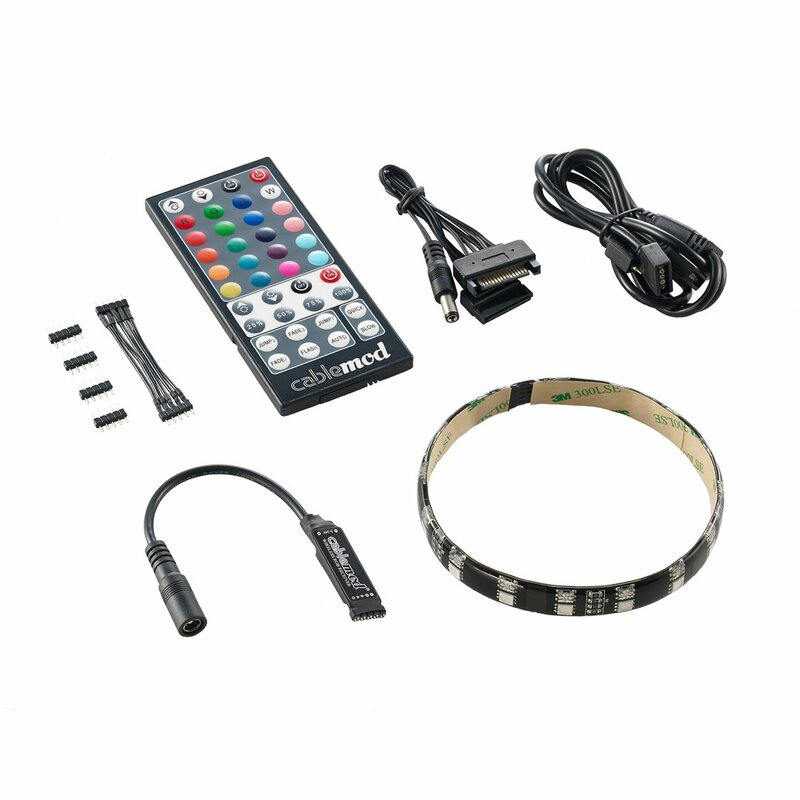 Then, control your RGB LEDs with the handy 17-key remote control. 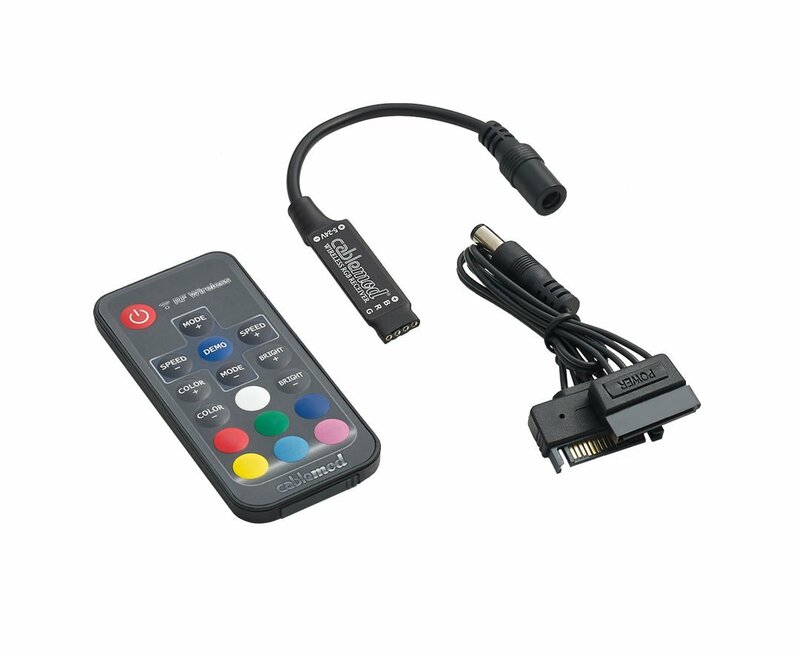 This controller uses RF technology, which means line-of-sight is not required for control.